Paradise Sounds - "Makes Weddings Perfect"
DJ Rich has been entertaining at perfect events for over 20 years! This is the bride speaking and we were THRILLED with Rich’s performance!! He did a phenomenal job getting our guests up and having a good time. It was a blast! Thank you so very much and please feel free to share our experience!! About 250+ Guests at The Grand Banquet & Conference Center, Essexville. Sorry it took me so long to get back with you. Rich did an amazing job at our wedding. He was wonderful to work with and took our requests very seriously. Everyone had a blast and I heard many compliments on the DJ. He went above and beyond with bringing props and keeping the guests entertained. I would fully recommend him and your company to anyone who asked. Thank you so much! 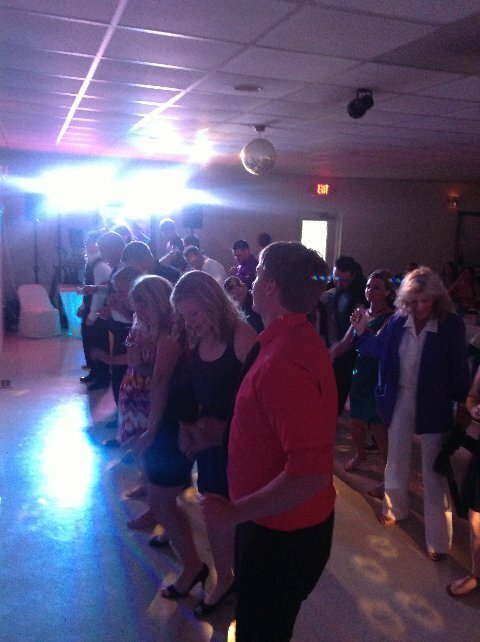 Katie & Nick V. – Verona Hills Golf Course, Bad Axe, For About 150 Guests! 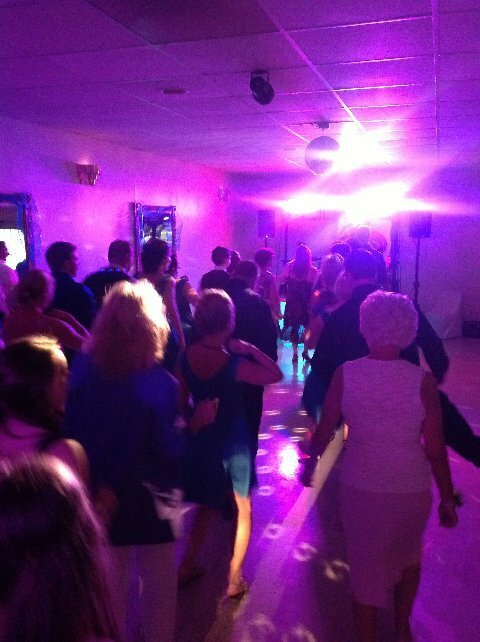 We really enjoyed Rich, he was very easy to work with and good at keeping the party going! Thank you! Rich did an amazing job and we are so grateful!! Had 250 Guests attend at the Holiday Inn of Midland. Dean, Everything went VERY well! We loved Rich! He did an excellent job reading the crowd and deciding what music to play to keep the party going. I will definitely recommend him to anyone I know in need of a DJ. I think in your voicemail you wanted to know how many people were there. We had 264 RSVPs, but we’re not sure exactly how many were there. Hi Tracy, Well, we really enjoyed Paradise Sounds! He brought in a new energy that we have been lacking. They tend to get stale after awhile, don’t they? Anyway, is he available this Saturday, by chance? If so, can we book him? Let me know. DJ Rich “Paradise sounds” – Thank you for your awesome work at our reception. you truly helped make our special day even more special. 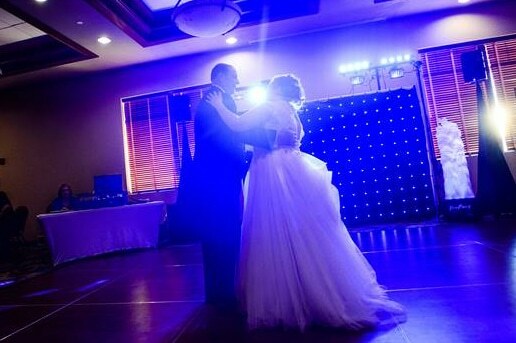 We were very satisfied with the services provided by DJ Rich. he was very entertaining, creative, and was very good at engaging our guests. our guests couldnt say enough good things about the DJ and we recieved many complements. many of our guests expressed that our reception was one of the best ones they have been to. THANK YOU for making our wedding so memorable. Rich did an amazing job best choice for DJ ever I was very pleased and would recommend you to everyone. Glad we had the chance to use you. Hi, Dean! We were very pleased with DJ Rich! He is very personable and experienced in what he does. He definitely read the crowd and played the right songs at the right times, and kept everyone engaged. Thank you so much for helping to make our big day special! AMAZING!!!! Dj Rich was so perfect for our special day! He was full of energy and fun surprises to keep our guest active and happy and he was unique compared to any DJ I have ever seen before. I can’t thank you guys enough for your service! I would recommend you guys to anyone and everyone.Thank you so much for making our wedding awesome!! Sincerely, The new Michelle Collier!! 🙂 – Lake Nepessing Boat Club – Lapeer Boulder Pointe Golf & Banquet Center Referred! Thank you for doing such a great job! We were very pleased with the dance and the music. Thank you for the perfect entertainment at our banquet. The evening was very successful & the music & personalities of your group made it perfect! Thank you Again! We were very happy with Paradise Sounds and would recommend them to anyone else! The kids loved him! Thanks! You’ve come through again! We would like to thank the guys from Paradise Sounds for the great jib they did at our reception. We had seen them at a reception the year before, and we knew we had to have them. Their performance was everything we had hoped it would be. They really know how to get and keep the crowd involved. Between the great selection of music, and the DJ’s personalities, they helped make our reception a blast! We had guests wanting to pay for the extra time over and above the extra time we had already paid. The DJ’s were willing, but we had to explain to everyone that the alcohol and music had to be done by 1:30 am (not by our choice.) We still had a pretty big crowd at this time, who we feel were ready to stay and party all night. My brother and fiancé are getting married, and they decided to book Paradise Sounds after seeing them at our reception. We can’t wait to see them again, we’re sure it will be another great time! Thanks again for helping to make our wedding day so special. Keep up the good work, you guys are great!! P.S. I will continue to recommend Paradise Sounds to anyone. Thank you for the excellent service we had at our wedding. We received so many compliments on Rich’s choice of music and his personality. We would recommend him to anyone having an event. Thanks Again! Just a few lines to officially and finally say “Thank you” for doing a good job at our party that children put on for us. You played music that was acceptable to the group – not a lot of rap and junk that people our age don’t dance to. You had the attention of the crowd and kept a mixture of music going so people who only dance slow could also dance. I just thought you would like to know that we appreciated that, a good DJ can make a fun party and he needs to verbally communicate with his audience. Lots of times a DJ will just do a lot of hip hop or rap and losses his crowd. Everyone seemed to enjoy themselves. I know my husband Ray and I will never forget that night and we appreciate your part in the success of a fun night. Just a little note to say thanks for the great job you did at our wedding! Your choice of music for the bouquet toss, the garter toss, etc…was perfect! Also thanks for the special patience with Elvis! The Owen-Gage High School Prom Committee would like to thank you and our D.J. Rich Sniecinski, for providing us with great music as we danced the night away. This is just a little note to let you know how much we appreciated the fantastic job you did keeping the reception going. I had several family members and friends ask me where I found you. I told them where and they said they would hire you for upcoming events. Thank you for making our daughters reception such a great success. You are truly a fantastic DJ.Thanks again Rich. Thanks for your help at our wedding. You did a great job and made it a memorable night for everyone. We want to thank you so much for providing our wedding with such great music! Many people were asking us if you know us because you personalized our wedding so well! We had an awesome time dancing and every Bride and Grooms fear is to have the dance floor empty and ours never was. We will definitely recommend you to others! Thank you for providing us with a fun filled evening. We enjoyed the music and we hope you also enjoyed yourself. We are sending this note of thanks to express how happy we were with our wedding reception music. 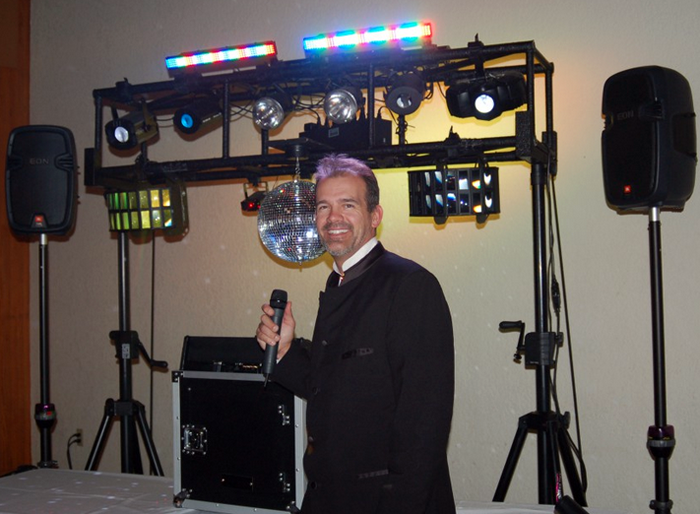 Rich Sniecinski “DJ’d our reception and we could not have been more pleased. 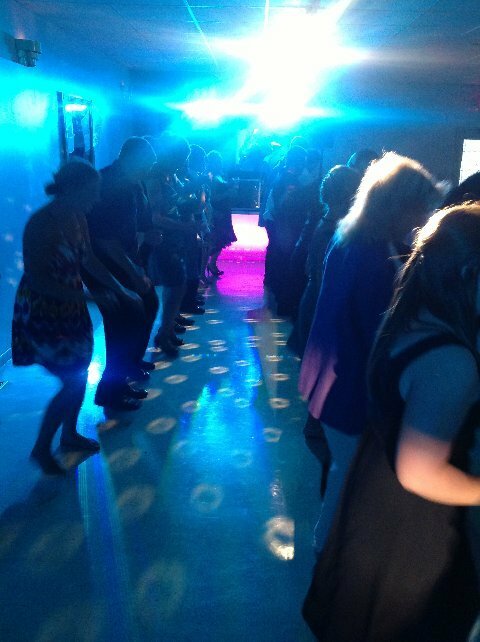 Our friends and family danced the night away! Rich was very accommodating and he really kept things moving along.Thanks for providing us with such great service and so many memories. He did an excellent job! Everyone danced all night and could have danced longer! Thanks for the great job! We thank you for the amazing job you did entertaining us and our guests. Everyone said you did an awesome job and we both could not agree more. The extra things you did made it a night to remember. You will be recommended!! Rich was great! After the wedding, everyone commented on how good our DJ was. He had just the right interaction with our guests and he was really funny! I thought it was really professional of him to call me a few days before the wedding to clarify any details and verify pronunciation of names. If I need a DJ in the future, I would definitely hire Rich again! It was amazing! Everything Rich did the evening was memorable. He was a great DJ. We couldn’t have asked for any better. We were very pleased. He called ahead of time to discuss songs, etc., and accommodated all of our requests. Thank you! Vassar High School Dance Paul Wg. They were very cooperative and willing to make adjustments to accommodate our own entertainment!